Gaze it People, Here is the Upcoming Events of SVUM. Hello People, Stay Tune With us by Becoming the Member of SVUM. Guys Check The Latest News Letter About SVUM. The role of Industrial Association, Federation, and Mahajan Mandal is very vital in sustainable development of Industries, Trade, Economy & society at large. Being apex body of the Trade & Industrial Organizations in Saurashtra-Kutch; Saurashtra Vepar Udyog Mahamandal (SVUM) is committed to create a business friendly environment for holistic sustainable development of Saurashtra-Kutch. Whether it is matter for Implementation of VAT in 2003, removal of Octroi, Impact Fee, Scarcity of currency coin and any other issues in Saurashtra-Kutch, We have observed that collective actions of SVUM have created impact & became change leader in order to bring solution. This journey of success would never be possible without support of colleague & Members. 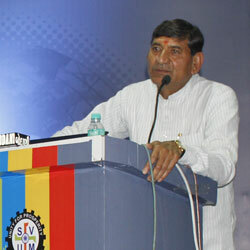 Currently SVUM is working for the Mission Saurashtra Development and under this we have decided to invite African Business Delegation to Suarahstra-Kutch and B2B Meetings with Patron Members of Association, After that We have plan to take Business delegation of Saurashtra Kutch to Africa at Subsidized rate. 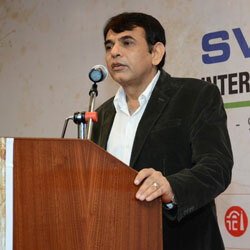 We will also organize SVUM – 2016 International Trade Show at Rajkot. According to the CII-WTO report, ‘India-Africa South-South Trade and Investment for Development’, the bilateral trade has potential to touch $176bn by 2015, if past growth rates continue in future as well. The report is based on survey of 60 key Indian and African companies and business associations. It is not only that India is gaining from this relationship. Many African companies have invested in India, including Airports Company South Africa, Bidvest, SAB Miller, FirstRand Bank, Old Mutual and Sasol. The investment is led by Mauritius ($64 billion) – mainly due to exemption of capital gains tax, Morocco ($137 million) and South Africa ($112 million). 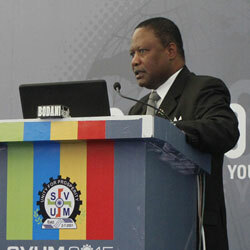 Till date, the main focus in the relationship was on the investment from India in African countries. But this may change soon, as outward foreign direct investment (FDI) from Africa has been increasing steadily. Outward FDI flow from the continent has increased from $1.5 billion in 2000 to $7 billion in 2010.